Jacob has Asperger’s syndrome, a neurological disorder on the autism spectrum, and as the main character of Jodi Picoult’s new novel, “House Rules,’’ he offers a fascinating and informative glimpse into a condition that has become common - affecting as many as 1.5 million Americans - yet is little understood. But the most engaging and heartbreaking voice in the novel is little brother Theo, who perennially feels like a freak by association. Though he loves and supports his brother, he admits to secretly hoping that Jacob will wander off and never be found so he can get on with his life, and Theo’s penchant for risky behavior adds an extra layer of ambiguity to the story. 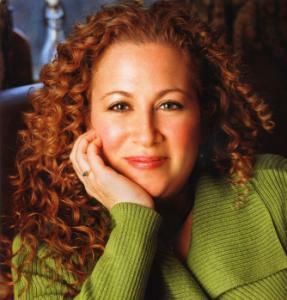 Picoult strains credulity in spots. The requisite romantic entanglement is just a little too cute and convenient. It’s also unrealistic that a mother would turn in her son to the police without talking to him about her suspicions - the book’s major flaw is that no one directly asks Jacob what exactly happened the day Jess died, which is inexplicable given the literal-minded Jacob’s need to always tell the truth. This huge omission leaves savvy readers a clear clue to the mystery’s end. But “House Rules’’ is a page-turner nonetheless, well-paced and thoughtful. And it certainly leaves readers with more compassion and understanding for sufferers of a condition that puts them always on the outside without a way in. Karen Campbell is a freelance writer based in Brookline.